Elastic colourful stripes, that are easy to stick on and are comfortable to wear exist only few years, but their development takes us much further into history. The knowledge of application is more than a thousand years old. Already in ancient Egypt and Greece the elastic and firm bandages were used not just for injury treatment, but also for fixation of the musculoskeletal system. At the beginning of 70s by then unknown doctor Kenzo Kase began to develop -in that time not elastic- sport tapes. So, the new material with new attributes was introduced. 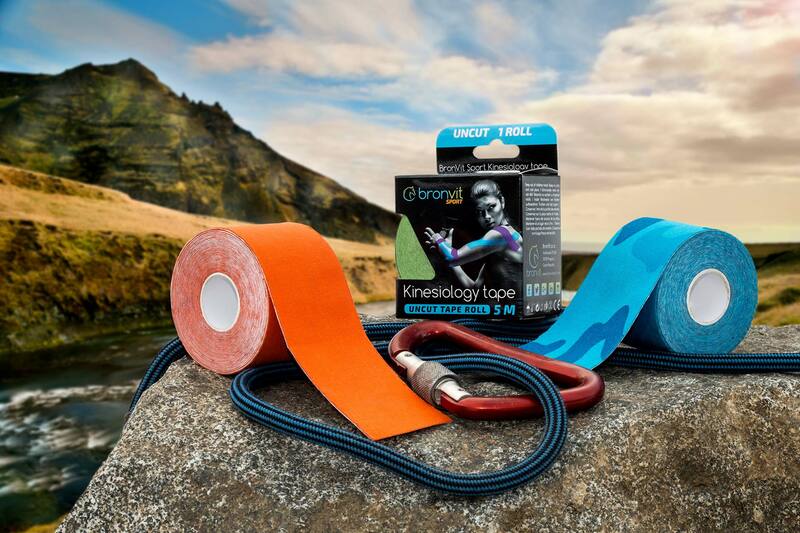 During several years of research and after numerous tests Dr. Kase developed his own method, kinesiologic taping, as well as his own elastic tape – Kinesio Tape (kinesio = movement). This is how the modern elastic taping was developed and later spread worldwide. Intensive training, repeated manual activity as well as contact sports, all is having its consequences. 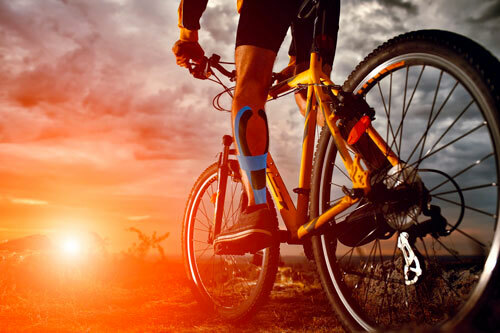 Today the tapes are applicated preventively, in order to protect tendons, ligaments and to avoid injuries. Already injured muscles or joints are supported by the tape, so it helps to speed up the healing process. As usually, all that is useful for and tested by the professional sportsmen, then finds its way to our daily life as well. 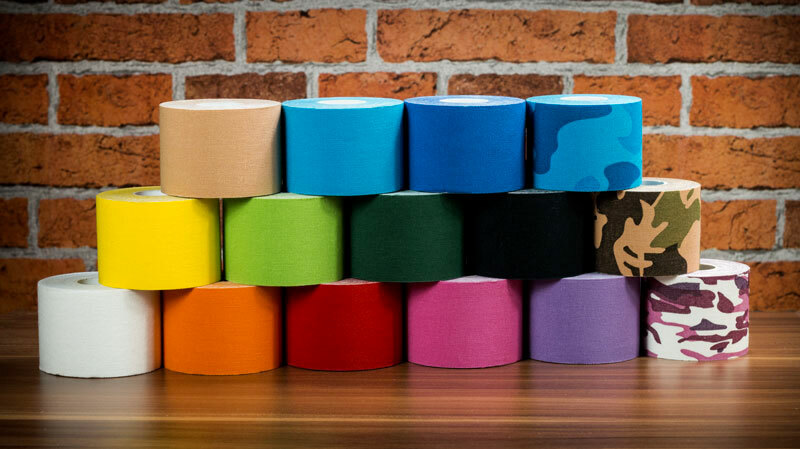 The tape copies your every movement, it stretches and shrinks without limiting your movements. Conversely, its impact (pain relief, activates blood circulation) encourages your motivation for physical activity. Nowadays used elastic tapes are aiming to reach attributes of the human skin. The elasticity (extensibility) of the tape is similar to the human skin, 130 to 140 %. The strength and the weight of the tape is also comparable with human skin and that is why the tape is able to copy all your movements without limiting you. The tape is manufactured from elastic cotton material from high quality fibres. The adhesive layer is allergen free and does not contain latex. The adhesive effect is activated by the body temperature. The tape lasts up to 7 days and it is not corrupted even by having a shower, as it is waterproof. However, the correct application is essential for all attributes mentioned above. To avoid skin irritation during extended usage, the tape is breathable thanks to the special fabric used for its production. 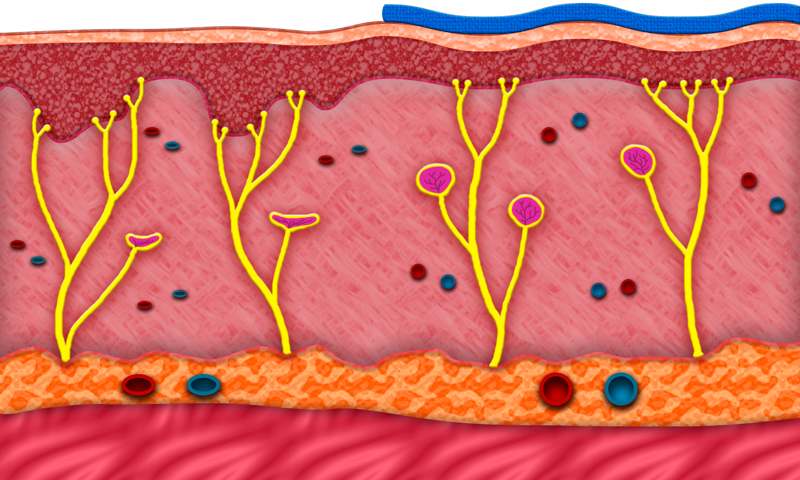 Epidermis presses lower layers of the skin. Press on the nerve receptors can cause pain. Decrease of blood circulation in the vessels causes lower skin and muscle perfusion. Decrease of blood circulation in the veins leads to blood accumulation in injured parts. Tense muscles press the lower layers of skin and also press on the vessels, veins and nerves. The lower layers of skin are calmed as the epidermis is firmed. The pressure and pain is calmed down by relaxed nerves. Relaxed vessels increase blood circulation and improves skin and muscle perfusion. Relaxed veins increase blood circulation and prevents blood accumulation and blood bruising. Decrease of muscle tension also decreases pressure on the skin and improves muscles regeneration. Pre-cuts or cutting it yourself? Today not only 5 m roll of the tape is available, but also pre-cuts for each of the body parts (arm tape, knee tape etc.). The advantage of the pre-cuts is their readiness to use without any previous preparation, nevertheless we recommend you to measure the tape on your body before application (Taping manual), in order to ensure optimal functioning by exact application. It is simple and, even with a little practice, anyone can do it. Why are the tapes of different colour? The colour therapy is one of the oldest treatment methods. From the science point of view, the colours are electromagnetic waves. Human is able to recognize just limited spectrum from infrared rays (heat) to ultraviolet rays (cold). These “light vibrations” are recognized by our eyes and according to new findings also by our skin. This finding is also based in colour selection during kinesiologic taping. Your intuition helps you to select correct colour. The colour of the tape can increase the positive impact of the tape. Anyway, at the beginning is also possible to just simply pick your favourite colour, which should always benefit you. Everyone can pick their own from the wide range of colours offered in our eshop.